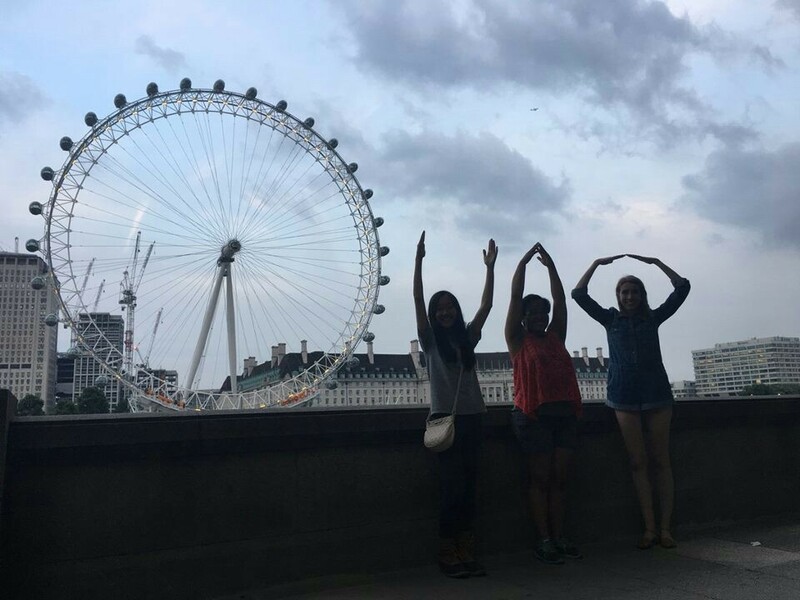 For my STEP Signature Project, I participated in one of OSU’s 4-week study abroad programs to Great Britain. As a part of this program, I spent a month living in London and learning about the culture of Great Britain. My classmates and I would attend class in the morning where we learned about Britain; we would then would supplement our classroom education with excursions into the city to further immerse ourselves in the culture. Spending that month in London, I quickly came to learn that I was capable of doing more than I thought possible before. I learned how quickly I could adapt to different circumstances. Things that might’ve freaked me out before, like traveling the city alone on public transportation or using an entirely different currency system. With a country like England where they speak the same language, I would not have thought of there being a language barrier, but I found the slightest changes in the language could sometimes end up complicating communication between myself and English citizens. Many times there were things that were second nature to me that I then had to change my perspective on in order to fit in with the society that I was living in. 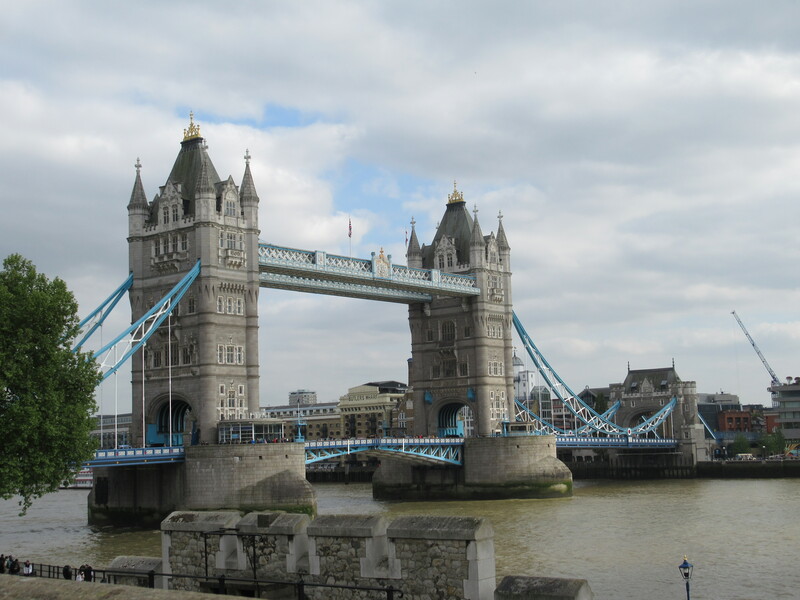 Before I went to London, I was afraid that I might have a more difficult time getting used to these things. However, I found myself adapting quite quickly. I believe that, if I were to go back to London right now, I could go back to living a normal life there almost instantly. One of the activities that led to the biggest changes in myself was traveling. At home and at school, I tend to not travel around much outside of my usual routine. I don’t really go exploring much. However, in my time abroad, I made a point of exploring as much as I could. Traveling was an integral part of our program. Every day we’d visit new parts of the city. We traveled via train to Glasgow. We’d commute via the tube or the buses to new parts of the city. Beyond what was including with my studies, I did my own traveling. I traveled to places in the far end of the London area, I travelled outside of London, to the city of Bath, and I travelled outside of the UK to Paris. I very quickly lost my reservations towards traveling and decided to make the most of the short amount of time I had overseas. The main thing that helped me to overcome any small issues, like dealing with currency or miscommunication due to differences in language, was simply practice. I’d study up on basic information in my free time, like which pence coin was which or what tube lines I would need to take to go somewhere. I’d constantly remind myself to say or do things a certain way. I found that people were often very helpful. If I had trouble on the tube or was confused about money, there were always people who reached out to help. Overall, the biggest thing that helped me when I was in London was communication and keeping an open mind. I was with a large group of people all in the same boat as me, and we all learned together. We were also supported by wonderful OSU staff and local staff. It was all the people around me that helped to really make the experience what it was. This experience ultimately proved to be a valuable one for me. It made me more adventurous. I’ve found myself more willing to explore the world around me and discover new things from the places I thought I knew. It has helped me to make connections, both with people on my trip and people who have had similar experiences. It has also, overall, made me more worldly. Seeing and interacting with so many people from different places around the world, I could see the world from so many different perspectives. It is an experience I hope to have again very soon. My STEP signature project was a public health education abroad program in Japan. 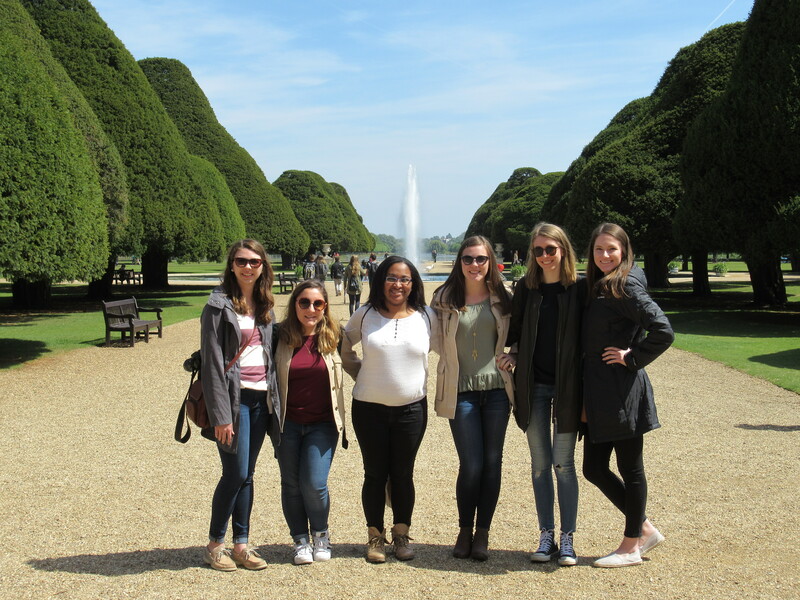 The two-and a-half week program focused on basic global public health through a Japanese perspective while comparing it to the American approach. We toured through all of Japan and visited historical cities like Hiroshima to develop a better understanding of the preparations and preventative measures Japan has taken to resolve their public health issues. The STEP signature project was a transformational experience. Traveling to a different country for the first time and seeing life through a different cultural perspective changed my outlook on life. Learning about Japan’s approach to many public health related issues also opened my eyes to the potential possibilities for America. One huge transformation or realization I experienced was how important diversity is for a country—especially one that inhabits as many different ethnic groups as America. Japan’s culture is much more focused on conformity. From the food they eat, to the eating utensils, to the clothes they wear, a day in Japan was unlike any I’ve ever had in America. I would attribute this juxtaposition to the prevalence of tradition in Japanese culture. They actively maintain traditions to preserve old perspectives, while American culture stresses efficiency and innovation. These differences gave me a newfound appreciation for not only the places I visited, but for countries and cities all over the world. The culture I was fortunate to experience in less than three weeks is just one of thousands all over the world, that most of us know almost nothing about. I now have a better understanding of our world as one unit, a world where each country can learn from the others and adopt some of these differences to create a unique culture of their own. One thing in Japan that really stood out to me as different than America was the lack of diversity among the population. America is a melting pot of all cultures and ethnicities. Entering a country where immigration is not as welcomed by natives was shocking, but I saw some parallels in their concerns and those that are being raised in the U.S. It was crazy to go from being surrounded by people of all nationalities in America, to then be surrounded by only Japanese people in Japan. The diversity I’ve taken for granted my whole life was no longer there. It opened my eyes to the privilege citizens have in America to be accepted into a mashup of cultures and to express their own variation on the norms. Japan’s lack of diversity is interesting, it reflects the way many countries in Europe and Asia operate, but it feels strange to walk around and be the only person set apart from a crowd. In New York City, people of every race, religion, culture, and belief walk around everyday, and coming home I realized how much I missed that. Conformity is valued above all in Japan. Everyone dresses the same, has the same haircut, carries the same designer bags, and wears the same designer clothing. This was apparent to me, coming from what I thought was a material-focused world (America). As I looked around, it was as if there was an unspoken uniform. The matching freaked me out, and I saw this as an oppressive force on their society, instead of a positive. I was wrong, the conformity and lack of deviation from the social norms works for Japan. They have lower crime rates and less violence than that of America, but I don’t know how they would react if any radical activists began protesting, or if groups began to deviate from the status quo. America does better in this regard; we are equipped to handle social problems between different groups. We focus on inclusion rather than exclusion. I think each country has something to take away from the other. Experiencing a society so set in their ways gave me a new appreciation for America and the diversity it embraces. Prior to this trip I thought the grass would be greener on the other side. I thought that maybe other countries do a better job making citizens feel included and valued. What I learned was that there is no country as free, as open, and appreciative for differences than America. As you can see, there was not a specific event that occurred where a light bulb flashed in my mind to pinpoint a transformation upon completion of this project. It had not occurred to me until I took the time to sit down and reflect. The journey was my transformation. From flying alone for the first time to a different country, to dressing in a kimono and walking the streets of Kyoto, to the 12-hour plane ride back; transformations were made along the way. I came back feeling like a new person. I came back with a better understanding of the world and of people and of myself. I plan on using this rejuvenated “me” to apply what I learned to my future aspiration to become a neonatal nurse practitioner. In the healthcare field you see a lot of diversity. Every patient is different, with a complex medical or cultural background. Each patient should be treated with respect to their culture, values, and ideals. The patient population is very diverse, and instead of seeing these differences as annoyances or inconveniences, I will see them as a gift. This STEP signature project taught me to see diversity as an advantage, and one that I will cherish forever. Over fall break, I went on a Buck-I-Serv trip to La Palma, El Salvador and visited Leonico Guillen, a potential Ohio State coffee source. I traveled with several Ohio State staff, five other students and two staff members from Hubbard and Cravens, an Indianapolis-based company that sells coffee for the university and is focused on direct trade coffee. In La Palma, our Job was to build Leonico a coffeedrying bed, a place for him to dry his coffee beans. Previously, he only dried his coffee beans on the concrete ground. The drying bed we created was a project to improve his coffee. Every time I travel I always make sure to have my camera ready. Through my constant need to take pictures on my phone I had several revelations during my BUCK-I-SERV trip to El Salvador. As soon as I landed my phone was out and ready to capture views and scenes I had never seen before. El Salvador almost reminded me of home, the Philippines. We saw vast green mountains, farms, chaotic streets, and even cows roaming around in the middle of the road. But although I was distracted by a new environment, I realized that I wasn’t just there to admire a pristine view. Our goal as a group was to help Leonicio Guillen, improve his coffee in the hopes of selling it to the university by the spring of 2018. In our society now, I always assume that everyone moves so fast. That includes myself. Everyone is constantly on their phones or on some type of gadget ready to be connected with the rest of the world. Technology has taken many people away from the simple pleasures of living in the moment. My short trip to La Palma made me realize it is not always like that. Life is really simple for many around the world especially those who live in remote places. Leonicio and the people in his community have more pressing everyday concerns. Leonicio works to feed his family and to give jobs to others in his community. I saw children playing outside-no gadgets in sigh. One afternoon in La Palma, I saw people sitting by the side of the road eating an afternoon snack and talking to their neighbors. I also saw people enjoying the morning sun as I peeked out from my hotel. Sometimes we don’t have to be 100 percent connected to the rest of the world. Sometimes a pretty view doesn’t need a photo. During my last two days of the trip I took a step back and just enjoyed the view and took pictures in my head. I was there the same way Leonicio was. I was making friends, working hard, and was fully present in the experience. But although I used my phone a lot to take pictures, I also realized there was bigger purpose. Technology can be used in a positive way to help people like Leonicio.This is another revelation I had during the trip. My photos can spread word about Leonicio, his coffee farm, and his community. This trip also made me realize that there is a face to every product we consume. I always buy coffee at Ohio State yet I have never thought about where the coffee actually comes from till I went on this trip. There is a whole story to every cup of coffee I consume. 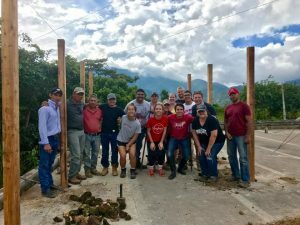 On this trip I was fortunate enough to learn about how Ohio State purchases its coffee and how they practice direct trade with the sources of the products provided on campus. I was able to meet Leonicio and learn about his life, his work, and his home country. Now we share a connection even thousands of miles apart. What events, interactions, relationships, or activities during your STEP Signature Project led to the change/transformation that you discussed in #2, and how did those affect you? Write three or four paragraphs describing the key aspects of your experiences completing your STEP Signature Project that led to this change/transformation..
On our first day at Leonicio’s farm, Hugo Valle and Carlos Garcia, an agronomist and environmental engineer who work for a coffee exporting company called Caravela, welcomed us and gave us a short tour of the farm. Both Valle and Garcia work closely with Guillen to improve his coffee. After our tour we went straight to work on our project: building a coffee-drying bed for Guillen’s coffee farm. We split up into teams and worked on different parts of the drying bed, we ate food together, chatted, had some laughs, and most importantly learned about coffee together. We even took group photos together. 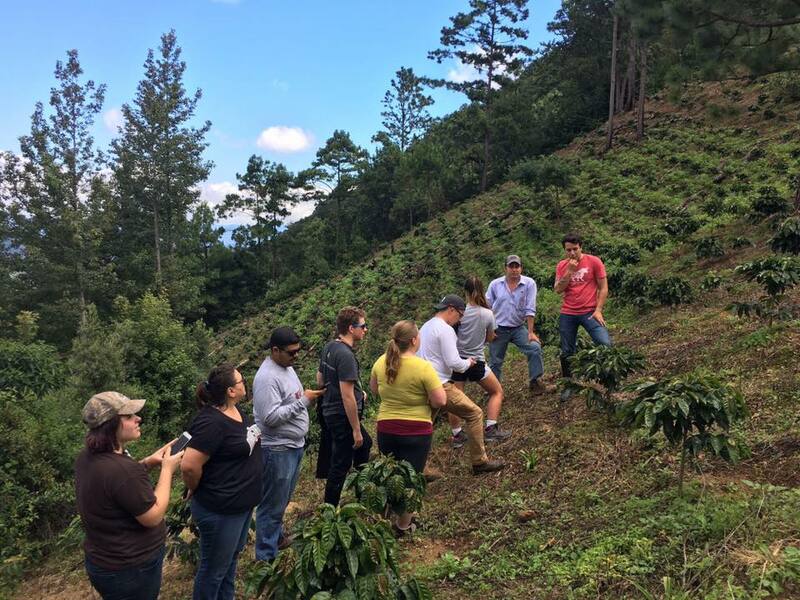 When I finally found the balance between the use of my phone and being present in the moment, I learned that I could use the photos I took to tell others what it is like working on a coffee farm, living in a remote area, and inform people back at Ohio State where their coffee comes from. During the trip I was also able to be a translator for many of my fellow trip members because not everyone spoke Spanish. I was able to talk to Leonicio myself in Spanish and learn about his coffee growing process. He told me how the land in which is coffee farm is situated was land given to him by his father. This was special moment for me because I was really practicing direct trade. I was learning about his life story. Hopefully, if Leonicio’s coffee makes it to Ohio State next spring, my first cup of coffee in the spring might just be extra special. The revelations I had on this trip are valuable because they are life lessons I can take with me for the rest of my life. Our world is growing and technology is changing the way we do things and ways we interact with people, but now I know that taking a step back to just enjoy the moment, fully present, is often 100 times better than taking a photo or sharing it on social media. But this doesn’t mean I can’t use technology. Technology is at our disposal and can be used for positive things. The photos that I took will serve as a story that I can share to the Ohio State community, to friends, and most especially my own family. I can even tell people that their favorite daily beverage on campus is more significant than the $1.75 that they spend on it.